We are a team of highly qualified specialists who can deliver your project with the best value and highest quality of work, on time and on budget. We will not compromise your satisfaction and expectations, or our reputation. The Poling Company, Inc. was founded in 1994 to serve the regional Louisville, Kentucky area in all facets of the construction industry. We specialize in multi-million dollar commercial, industrial, and institutional construction and land development projects. 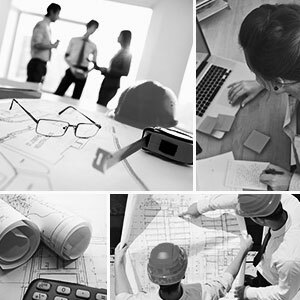 Our team consists of experienced specialists in both general contracting and construction management that offers individual design/build and construction management services to meet our clients’ specific needs. We focus on a team-based approach with each project manager and support staff remaining personally involved with our clients on a day-to-day basis. With The Poling Company, you can rely on a project manager to be up-to-date, informed, and available on a daily basis to ensure your project is successful. This system allows for a streamlined goal process which significantly improves results. Our mission statement is to utilize extreme organizational skills and documentation of the project, both in the field and the office, to yield for our clients, the best value and highest quality work, completed on time and within budget. Mark Poling brings over 35 years of executive level construction management and land development experience to create The Poling Company, Inc. Mr. Poling is an active participant in all aspects of The Poling Company. As a company which has been individually owned and operated for the last 20 years, Mr. Poling directs The Poling Company with personalized, responsive service at all times. Mr. Poling understands how to work together with key individuals to reach a successful goal and coordinate the specialists necessary to make that happen. His expertise includes successfully implementing multiple “project teams” consisting of representatives of owner, construction management, governing agencies, and local and state governments. The Poling Company is an equal opportunity employer and an active member of the Associated Builders and Contractors and the Better Business Bureau of Louisville where the company proudly carries an A+ rating and BBB Accreditation since 1995.